Murky indigo color. Aromas of lavender scone, sandalwood, and toasted marshmallow with a velvety, bright, bone-dry full body and a sleek, complex, long bacon wrapped dates, chocolate dipped cedar, and maitake mushroom finish with earthy, well-integrated, silky tannins and moderate oak flavor. A beautiful layered Alexander Valley Cab expression teeming with flavors to be explored. 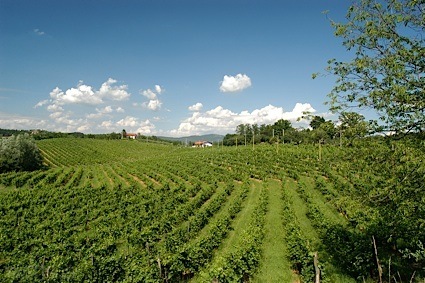 Bottom Line: A beautiful layered Alexander Valley Cab expression teeming with flavors to be explored. 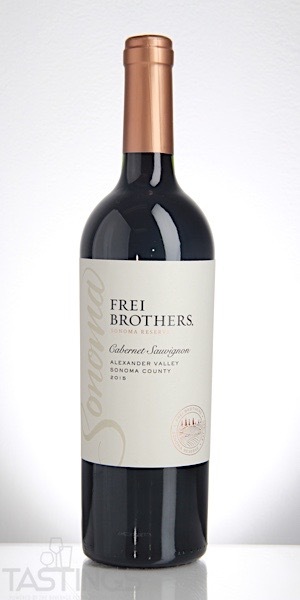 Frei Brothers 2015 Cabernet Sauvignon, Alexander Valley rating was calculated by tastings.com to be 94 points out of 100 on 8/13/2018. Please note that MSRP may have changed since the date of our review.